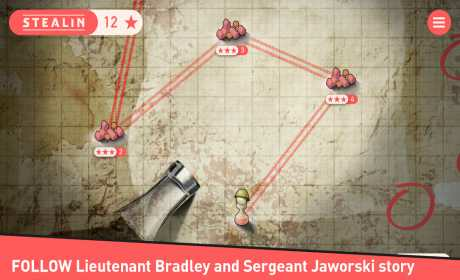 You are about to join Lieutenant Bradley in the fight against general Stealin! 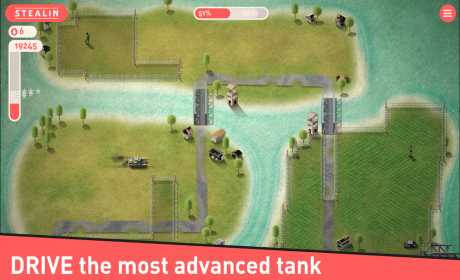 Use the most advanced tank to recapture the land and bring back the peace to the world! 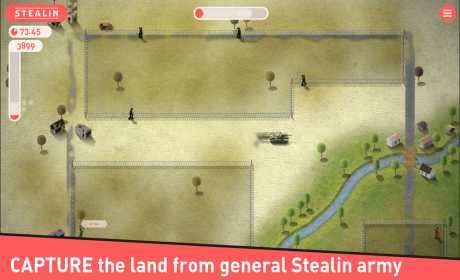 Stealin is a fast paced strategy game about conquering new territories! Extremely engaging and hard to complete, try it only if you expect a real challenge. A cruel revolutionist named Stealin successfully led rebellion and in just few years, on the peaceful territory that was used to be called Homeland, formed a new country, Stealinstan. The only one standing region is Whiteslope, a small land in the Western part of Homeland, famous from the strongest and toughest men who don’t accept the Stealin’s authority. With the last savings they smuggled the most advanced tank, which now you, soldier Jaworski, will use to recapture the land and bring back the peace to the world.